A new set of screenshots of Black Cat has been showcased for the forthcoming The Amazing Spider-Man video game, confirming the character for the movie tie-in. 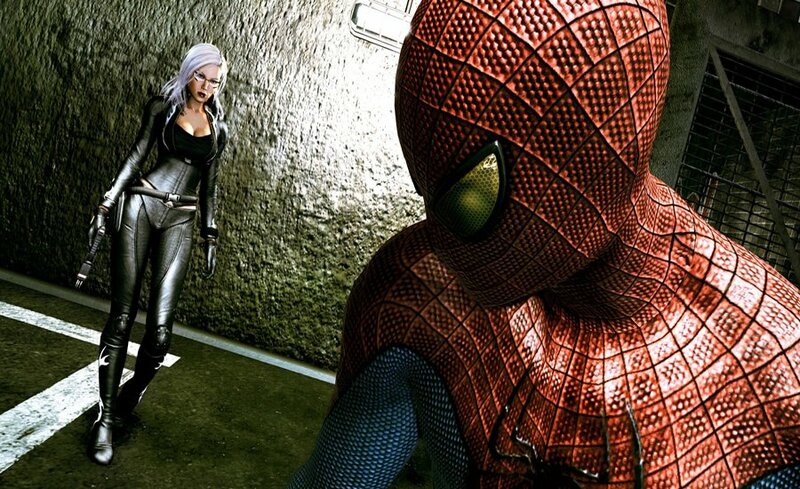 Having played a role within Spider-Man 2 on the PlayStation 2, the heroine, who was created in the comic book series decades ago, makes a return in the movie tie-in. Black Cat, played by Felicia Hardy, will be joined by fellow villains Rhino and Iguana. Developer Beenox said the character "may not have Spidey’s best interests in mind." Black Cat is described as "a stunning, deadly thief who thirsts for power comparable to Spider-Man's." She was born into wealth, a result of her dad's career as a cat burglar. Following her father's disappearance "under mysterious circumstances," Black Cat opted to follow in her old man's footsteps. The Amazing Spider-Man is based on the upcoming Spider-Man reboot film of the same name. It'll release on June 26th in North America and 29th in Europe for the PS3, Xbox 360, 3DS, DS and Wii.